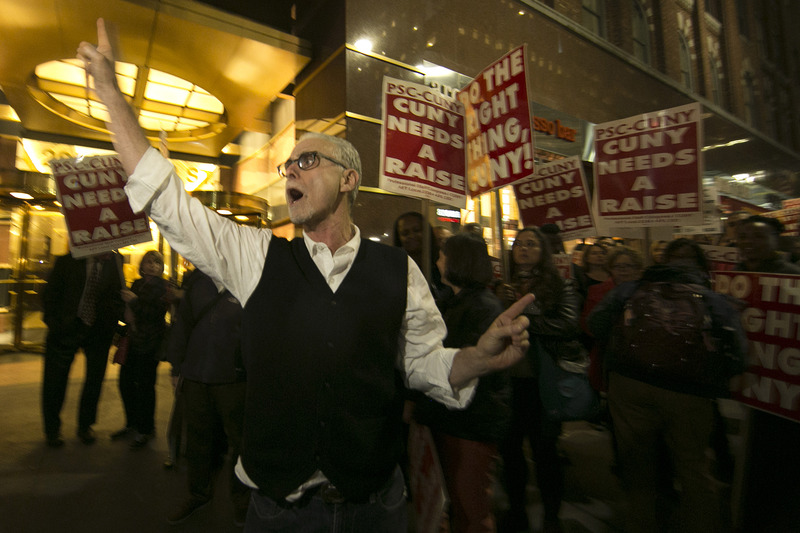 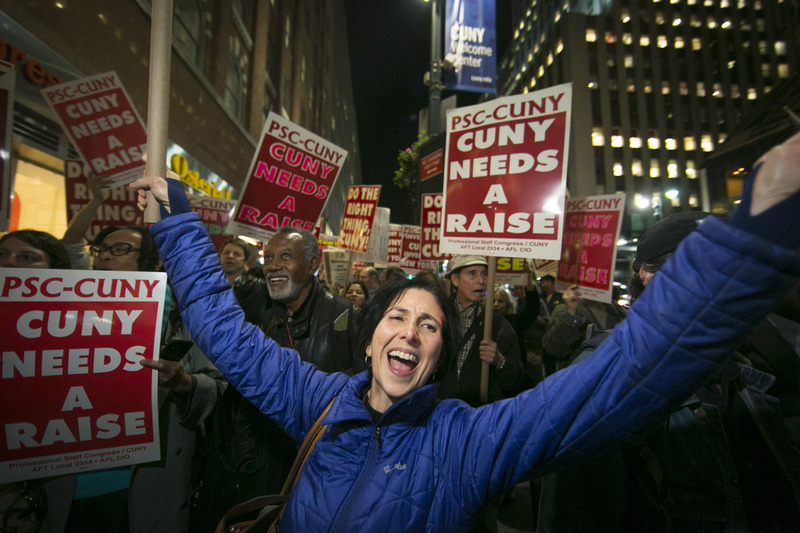 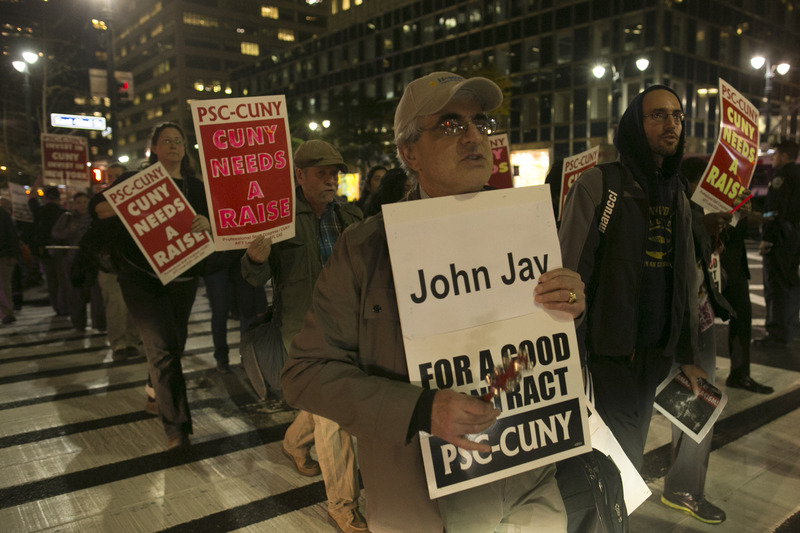 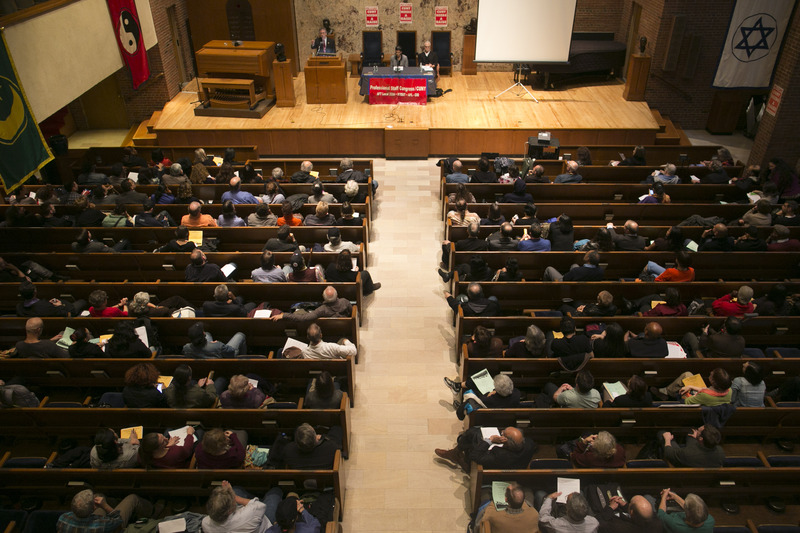 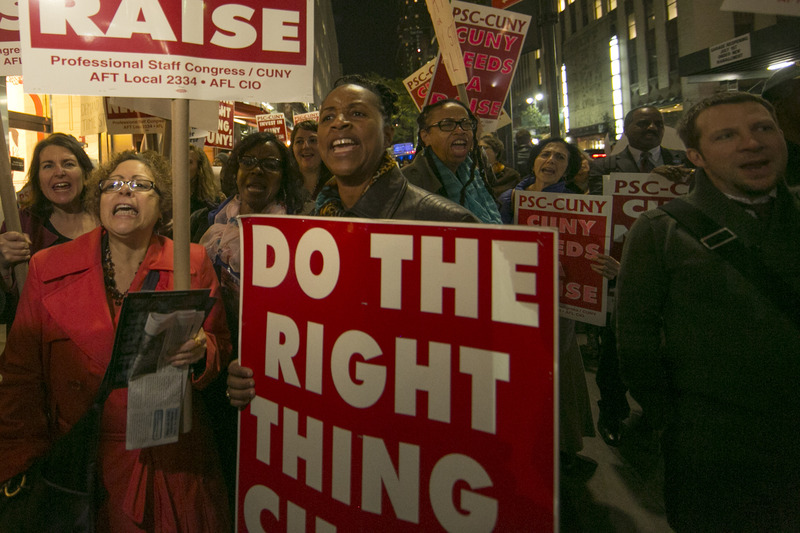 CUNY contracts are negotiated at the bargaining table, but won on the ground. 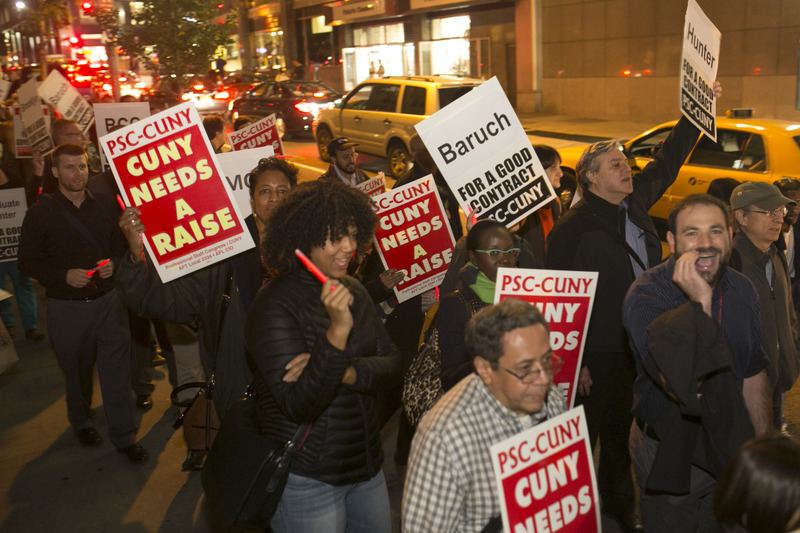 And we need to keep up the pressure on CUNY and the State and City officials who approve our contracts. 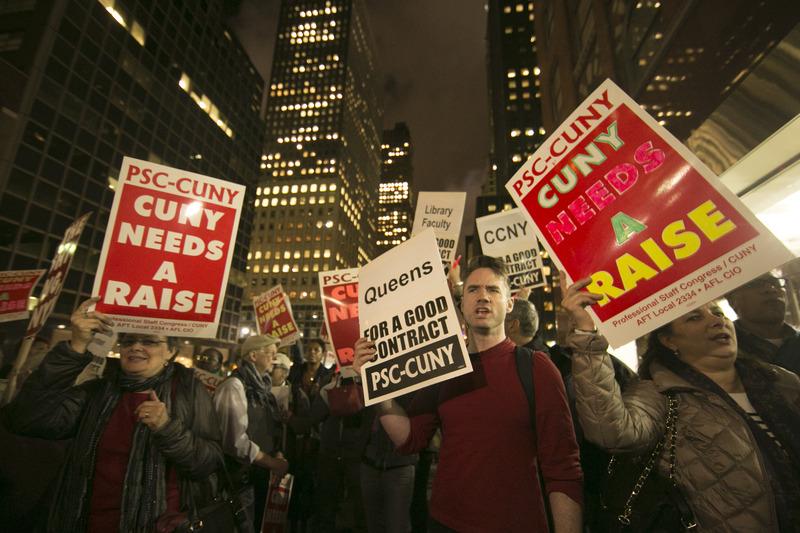 That's why hundreds of CUNY faculty and professional staff rallied and marched on Tuesday, October 21st. 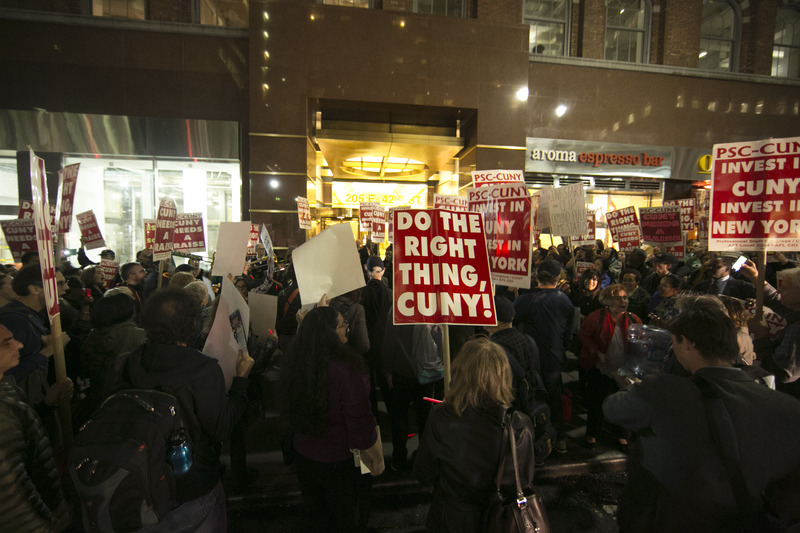 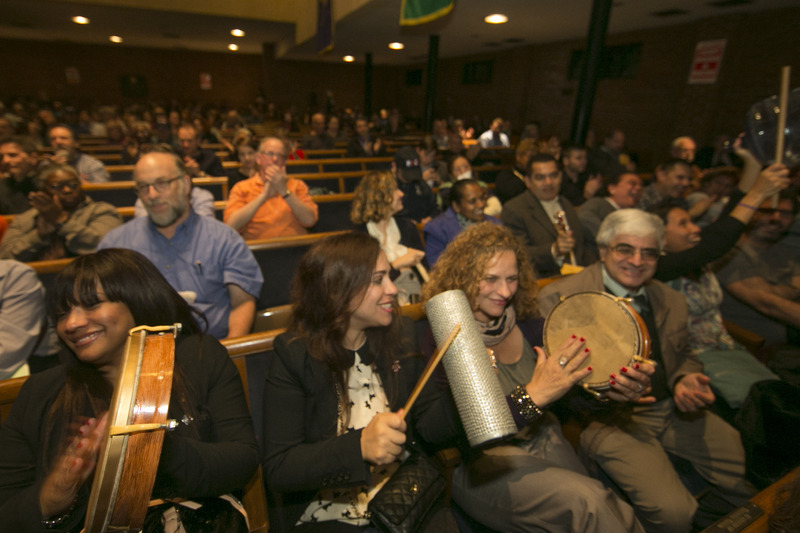 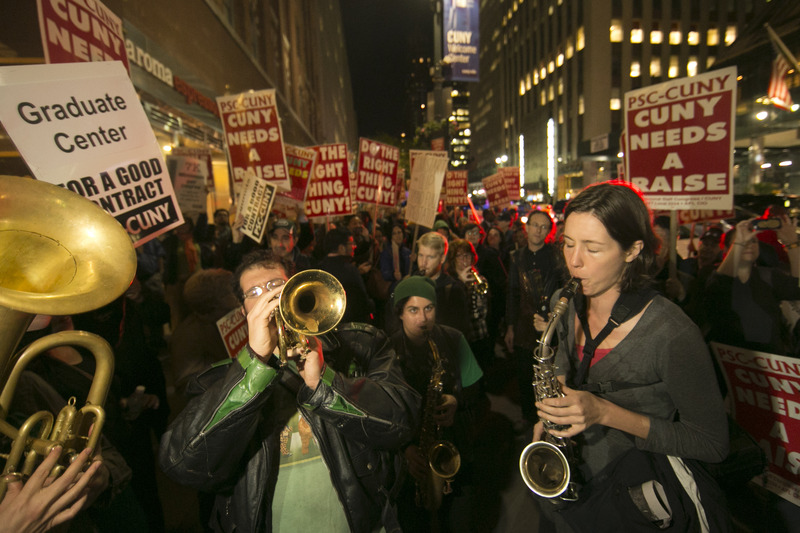 After a spirited early evening rally at the Community Church of New York on East 35th Street, attendees took to the streets, marching, chanting and singing as they went past the governor's NYC office and then to new CUNY headquarters on East 42nd Street. 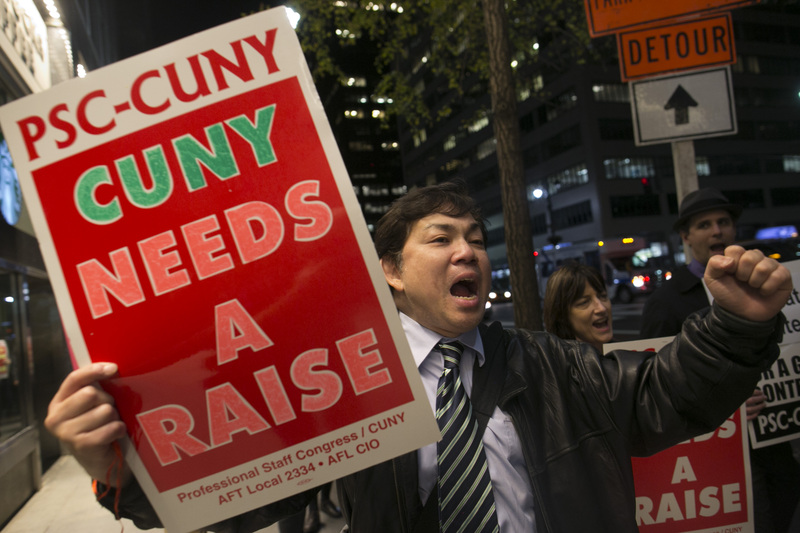 The message: CUNY NEEDS A RAISE.